Catholic Charities of St. Paul and Minneapolis used VolunteerHub in 2018 to manage 124,000 volunteer hours equating to $3,421,989.00 in estimated value. Catholic Charities has a rich history of providing support and services to the poorest and most vulnerable members of the community for almost 150 years. The organization provides the community with support from 36 programs across 17 community locations. Programs aim to make a difference in the lives of children and families, older adults, people with disabilities, and individuals experiencing or at risk of homelessness. The charities diverse programs touch the lives of nearly 20,000 people annually. Catholic Charities is continuing to break down barriers through their mission of solving poverty, creating opportunity, and advocating justice in the community. Impact is at the heart of everything the organization does and aspires to do. Last year alone, Catholic Charities of St. Paul and Minneapolis served 1.1 million meals, provided 475,000 nights of shelter, offered educational programs to 120 children, and honored 20 graduates of their culinary skills program. These milestones could not be reached without the commitment of volunteers. Catholic Charities of St. Paul and Minneapolis recruited and utilized the support of 4500 volunteers. These volunteers provided the organization with 146,000 volunteer hours in 2018 alone. Volunteers and volunteer groups serve a variety of important roles with the nonprofit including food service, cleaning, warehouse support, painting, landscaping, assisting in the shelter, social activities, administrative support, clinical support, and classroom duties. 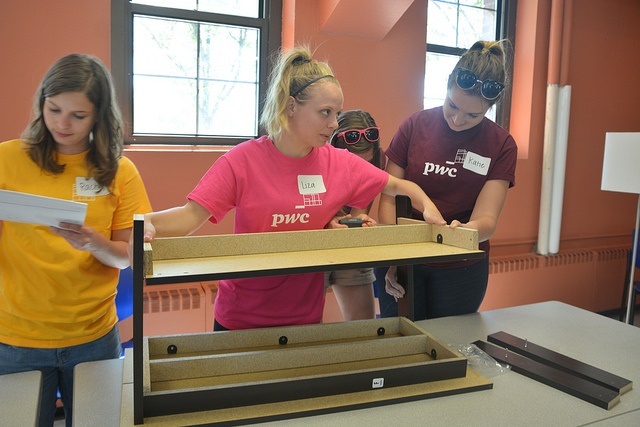 “The value that volunteers provide our organization is tremendous. We could not achieve our goals and provide the support we do to the community without our volunteers commitment to the cause” said Mary Bachman, Director of Volunteer Resources, Catholic Charities of St. Paul and Minneapolis. Controlled chaos is the best way to summarize Catholic Charities volunteer management process prior to implementing VolunteerHub. The organization used an elaborate mix of spreadsheets, phone calls, and memory to conduct recruitment and volunteer registration efforts. The old process demanded time and the organization understood that time is value. Time (value) could be spent improving other areas of the program and eliminate the back-and-forth barriers impacting volunteer recruitment, retention, and day to day operations. The desire to eliminate manual management, simplify opportunity sign-up, and find a solution that integrated with Raiser’s Edge is what led Catholic Charities to choose VolunteerHub over other volunteer management solutions in the market. The nonprofit vetted and considered several other solutions but none offered the same flexibility and integration features that VolunteerHub provides. “Prior to VolunteerHub we managed our volunteer program by hand. We had a system of spreadsheets, memory, and phone calls. 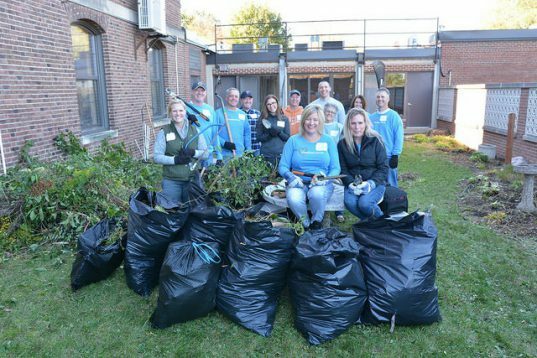 The process was controlled chaos and was not allowing our team to use our time effectively and to its full potential.” said Mary Bachman, Director of Volunteer Resources, Catholic Charities of St. Paul and Minneapolis. Catholic Charities of St. Paul and Minneapolis are using several of VolunteerHub’s feature-set to impact their volunteer program strategically. The online sign-up/registration features have been one of the most beneficial to their organization’s strategy. The nonprofit has been able to eliminate the need for back-and-forth communication over the phone and the discrepancies that can be caused by manual data input. Catholic Charities has also found that volunteers and partners have responded well to online recruitment with little to no push-back from supporters. “VolunteerHub has helped to eliminate some back and forth that our old management process caused. Volunteers can now easily sign-up for opportunities that work for them. It’s a win-win.” “Volunteers have transitioned to using VolunteerHub well. We have received little to no push-back from our online registration process.”said Mary Bachman, Director of Volunteer Resources, Catholic Charities of St. Paul and Minneapolis. Catholic Charities is also finding value in the ability to promote opportunities to each individual group and corporate partner. Small touches on landing pages are creating engagement that provides value. The nonprofit is still experimenting with the landing page customization features and believes that group landing pages will become even more valuable to them in the future. One of the most significant differentiators between VolunteerHub and other volunteer management solutions on the market for Catholic Charities is the integration between their volunteer management solution and Raiser’s Edge. The integration is providing the organization with more actionable data and helping to bridge the gap between volunteers and financial donors. Finally, the high-level of support is another reason why Catholic Charities finds value in VolunteerHub as their volunteer management solution. When the organization needs support, has questions, or is training on a new feature-set VolunteerHub’s support team provides quick, efficient, and actionable solutions to problems. Catholic Charities has been impressed by VolunteerHub’s ability to create a real partnership with clients and stand behind their solution. “We greatly appreciate the customer service and support that we receive from VolunteerHub’s team. When we need support, we receive it quickly and efficiently.” said Mary Bachman, Director of Volunteer Resources, Catholic Charities of St. Paul and Minneapolis. Catholic Charities is ready to continue to provide the community with services and support that will impact others. The strategic partnership they have formed with VolunteerHub has given them the solution they need to continue to transform their volunteer program, create new relationships, and nurture existing ones. Are you interested in volunteering with Catholic Charities of St. Paul and Minneapolis? Check out their volunteer opportunities here. If you are a nonprofit ready to transform your volunteer program and management strategy VolunteerHub may be the solution your organization needs! Request a demo today.